I have guest blogged for Fatema's gorgeous blog "Segments of life." 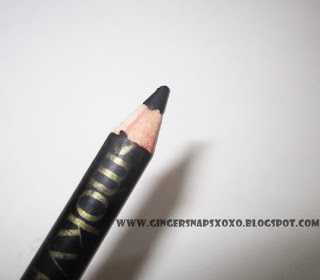 You can check out the complete review - "Here"
Have you tried this eye pencil? What eye pencil are you using currently? new wave blue is an interesting color. Will surely check out your post. Ooo...I could totally use a double tiped liner...I love combining colors with black in the outer corner. I've been using bourjois waterproof pencils and gel pencils for the waterline. Only recently going back to pencils...I've been into gel like crazy! Bourjois is incredible, they're eyeliners are like silk! Love, love, love the double ended...Im curious to hear people opinions on their single compact eyeshadows? Why are so many people oblivious to Bourjois?? ?